The opportunity in China can't be overstated. It has the largest number of Internet users on the planet, with over 720 million, which is still only a little over half the country's population. On top of that, it just became the top market for revenue in the App Store. Who can turn down millions of potential users who want to spend money? With that kind of growth, its going to be hard to pass up the chance to capitalize on that, for both companies who want to expand there, and venture capitalists who want to invest. Redpoint Ventures is no stranger to the tech scene in China, having been putting money into companies there since 2005, but it's kicking things up a notch now, announcing on Thursday that it has closed its first ever fund dedicated solely to investing in Chinese companies. The $180 million fund is called Redpoint China I, and it will be put toward early stage consumer and enterprise technology companies. It will be led by David Yuan, Tony Wu and Reggie Zhang, who will invest in roughly 25 companies. with initial investments expected to average between $1 million and $4 million. Redpoint Ventures has actively invested in over 35 companies in China over the past 11 years, including Qihoo360, iDreamSky, Domob, CGEN Digital Media, Yixia, APUS, and Renrenche. Over 90 percent of those investments where in early stage companies, where Redpoint Ventures has been either the founding or the first institutional investor. "China’s startup ecosystem has never been more promising due to the growing class of serial entrepreneurs, strong government support and accelerating global technology developments. The next generation of important Internet and mobile companies are coming from the US and China as two of the largest innovation markets in the world. 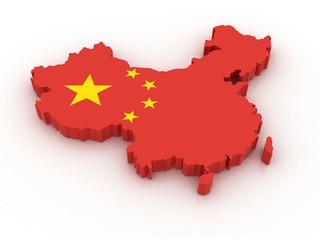 Within this dynamic landscape, our team in China has grown and we are seeing an ever increasing number of compelling investment opportunities," Chris Moore, partner at Redpoint, wrote in a blog post. This news coincided with a big development for the Chinese market: for the first time, China overtook the United States as the country with the largest amount of revenue in the App Store, according to a report out from App Annie on Thursday. 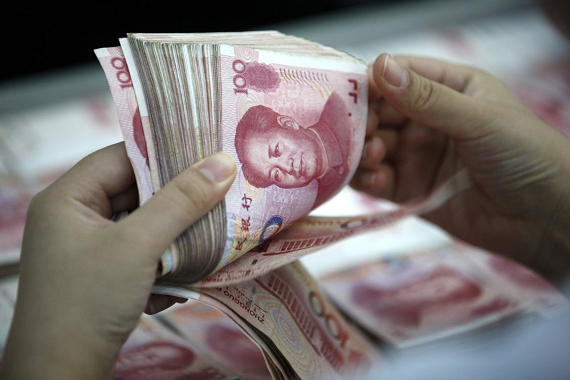 The Chinese market spent $1.7 billion this past quarter, 15 percent more than what was spent in the United States. Redpoint is obviously not the only VC firm to see the opportunity in China, and it's going to have some competition getting those investments. Earlier this year, IDG Capital Partners, a firm that has been investing in China for over two decades, closed a new $1 billion fund, called IDG Capital Fund III, in conjunction with Silicon Valley VC firm Breyer Capital. Founded in 1999, Redpoint now has $4 billion under management. The firm, which is based in Menlo Park and has offices in San Francisco, Beijing and Shanghai, has invested in over 465 companies with 140 exits. Companies it has backed include Path, Kabam, thredUP, 2U, HomeAway, Heroku, Netflix, PureStorage, Twilio and Zendesk. Despite all of the potential users in China, venture capital in the country has actually been slowing down recently. 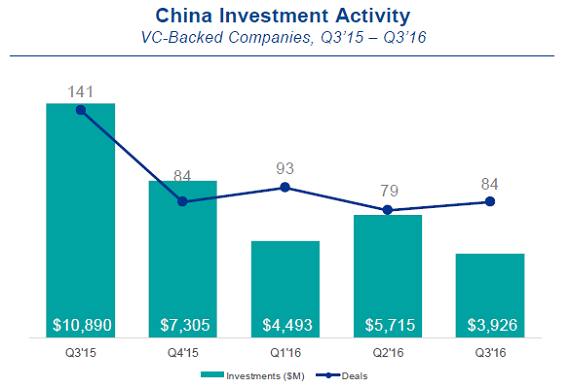 There were 84 investments in China in the third quarter of this year, for a total of $3.9 billion, according to the Venture Pulse Q3 2016 report from KPMG and CB Insights. That was a six percent increase in deals, up from 79 in the second quarter, but a dip of over 31 percent from the $5.7 billion invested. That was a five-quarter low for investments in the country. On a year-to-year basis, both numbers are down significantly. Deals dropped 40 percent, from 141 in Q3 2015, and the amount invested fell over 63 percent. “It’s becoming more of a buyer’s market in China. There’s less bidding going on and VCs are taking more time to evaluate each company. Investment committees are asking deal teams to put personal funds into projects to ensure they have a real stake in a company’s success," Lyndon Fung, Partner, U.S. Capital Markets Group, KPMG China, said in the report. Nearly half of all investments were made in companies based in Beijing, with $1.9 billion going into 31 deals, followed by Shanghai, with $609.7 million going into 20 deals. The top deals in China over the last quarter wereinstallment payment e-commerce firm Qufenqi, which raised $449 million in July; parenting portal Babytree which raised $448 million; and credit card management app 51xinyongka, which raised $310 million in September. Geoff Yang introduces Redpoint Ventures, a VC formed in 1999 with partners from Brentwood Venture Capital and Institutional Venture Partners. 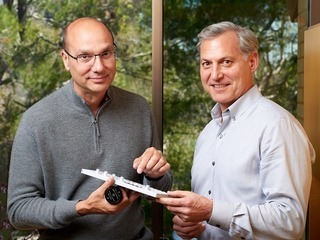 These two firms have been successfully investing in technology since the early days of venture capital. The team behind Redpoint has collective experience of over $2 billion under management - with 32 IPOs and 54 upside acquisitions. In a 2nd video, Scott Raney, partner with Redpoint Ventures, tells what the firm looks for when evaluating investments in the mobile applications market, and gives tips for entrepreneurs looking for funding.